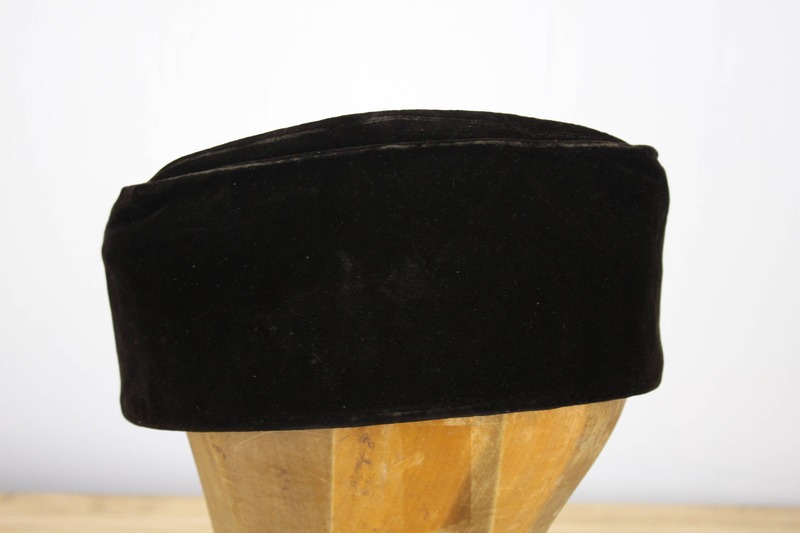 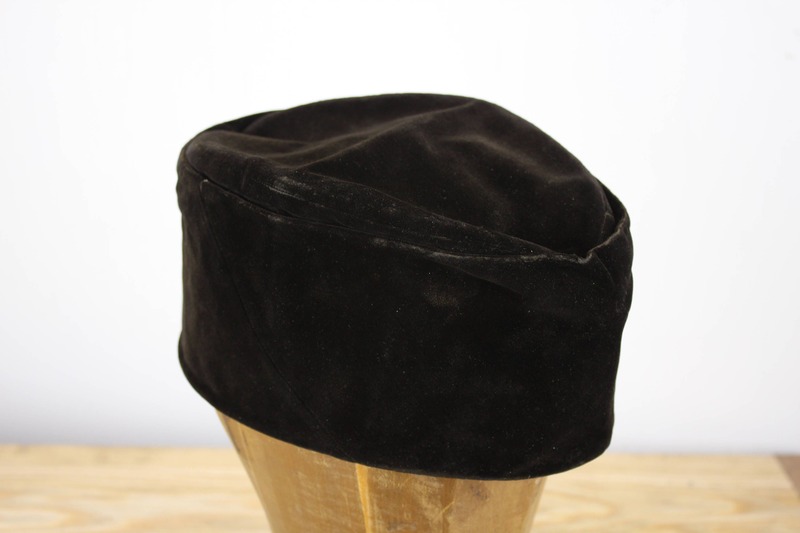 This understated and handsome hat is in remarkable condition for its age! 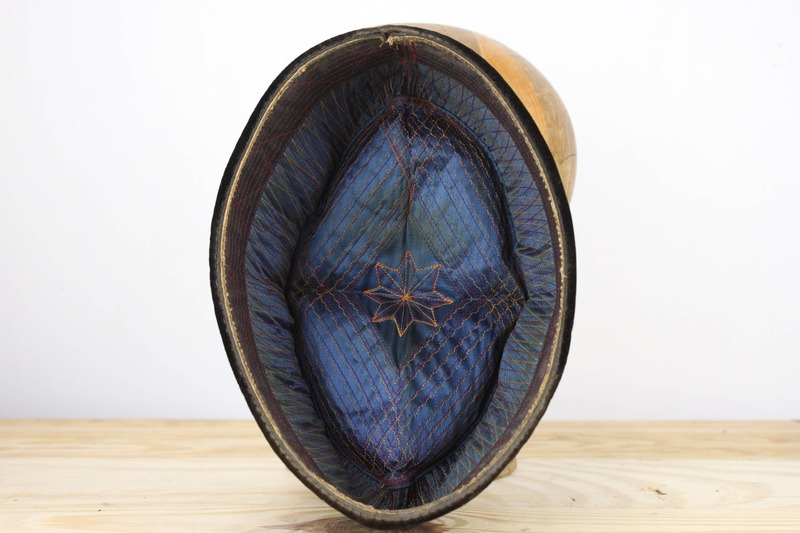 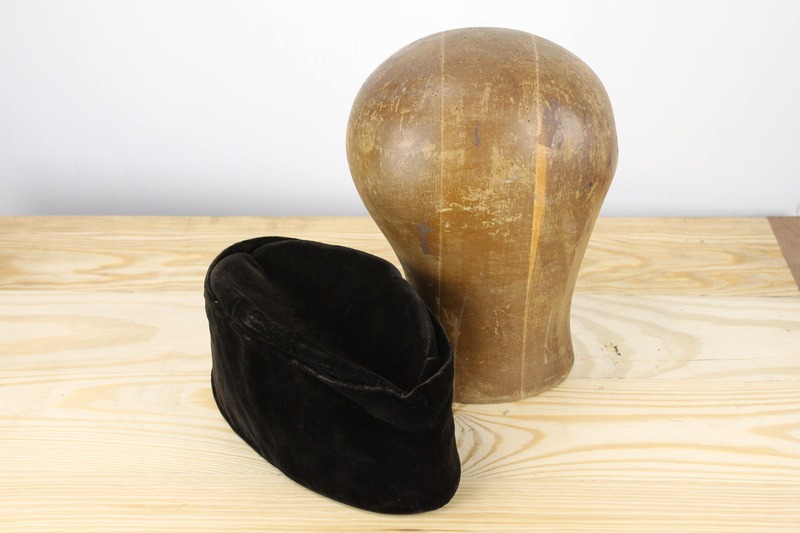 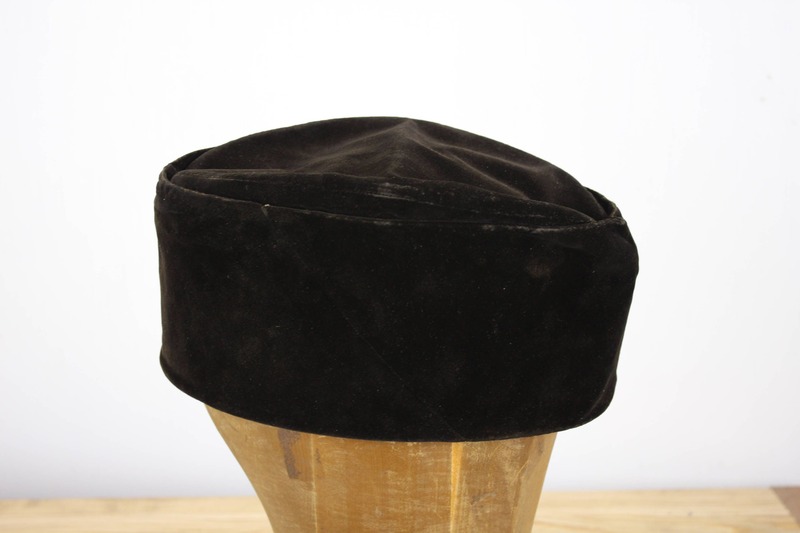 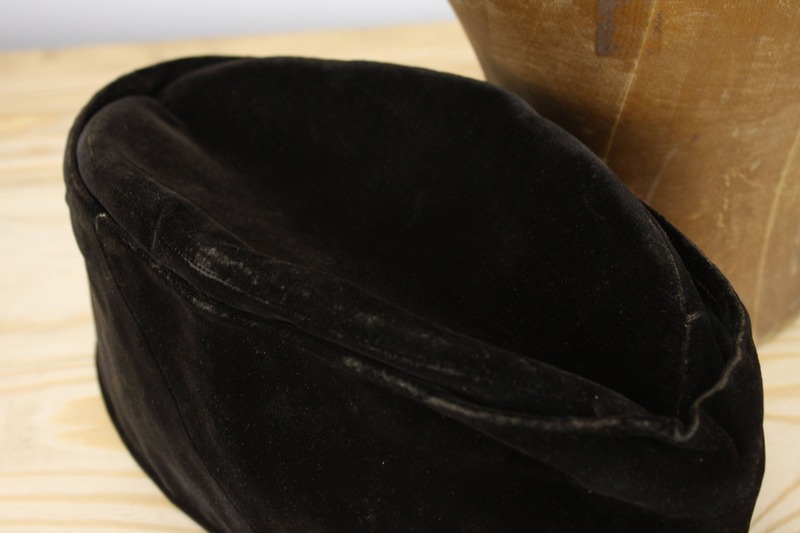 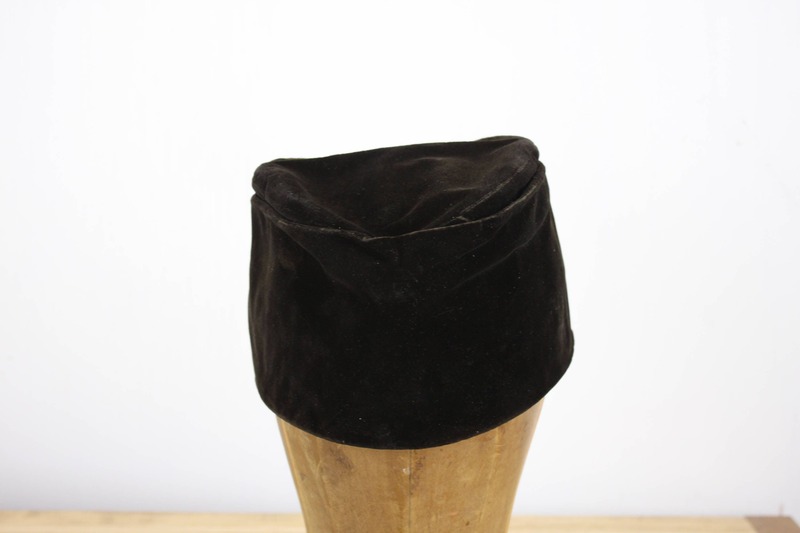 Most likely of Arabic constructed from sometime during the 19th century - This smoking cap (otherwise known as a thinking or lounging cap) features a warm brown velvet exterior and a brilliant royal blue silk interior. 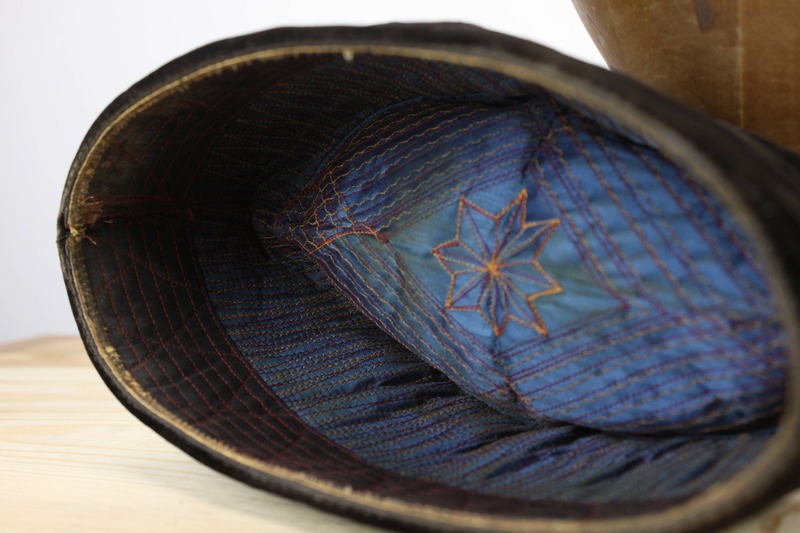 The interior of the hat features stunning and exquisitely intricate purple and yellow stitching and prominently displays an eight pointed star. 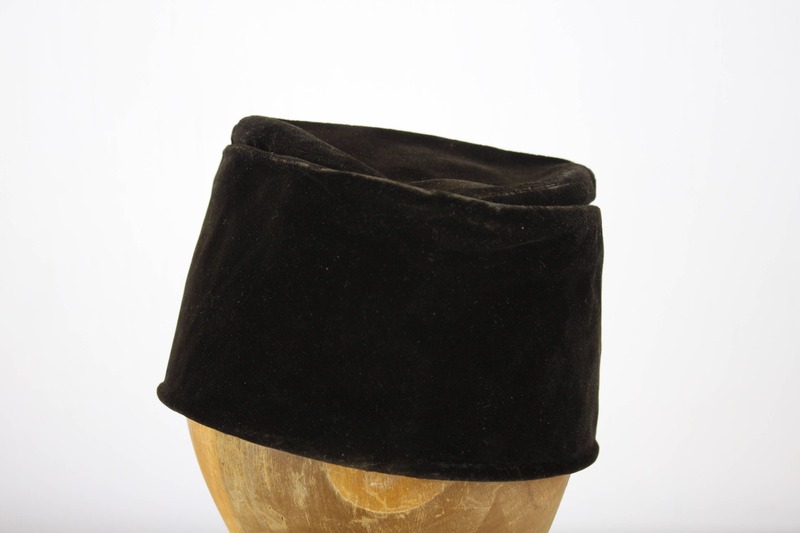 This piece does have some age related wear but is in overall excellent wearable condition. 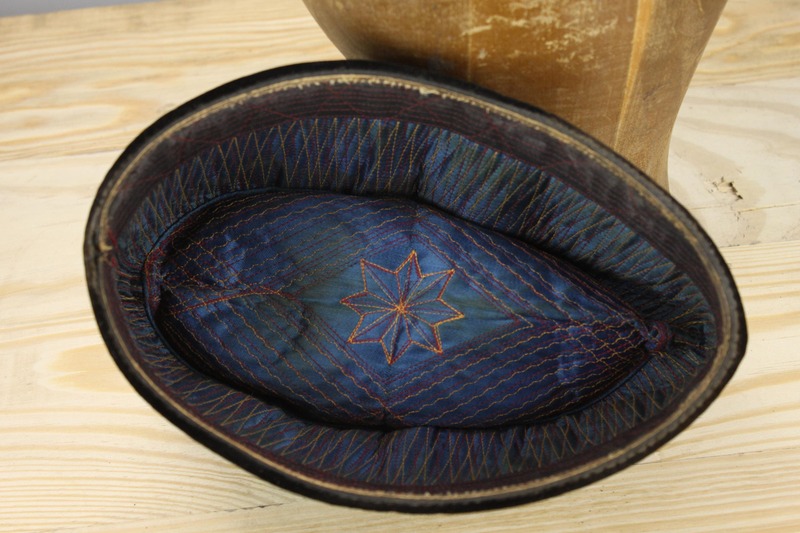 - 10" x 7" x 4.25"